An all-new, original series from the mind of Galactic Hot Dogs and The Last Kids on Earth author Max Brallier! Life is tough for Fletcher Bowman. He’s an orphan from the countryside who’s just arrived at the prestigious NEXO KNIGHTS’ Academy, where he doesn’t know anyone or anything about being a knight. Lucky for Fletcher he quickly makes one friend – the excitable Izzy Richmond. But when Fletcher and Izzy venture off-campus, they awaken a long-sleeping threat to Knighton that threatens to destroy the kingdom. 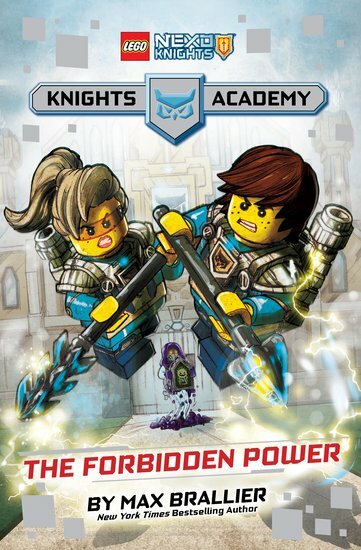 They’ll have to work together to defeat the threat – and avoid their headteacher’s wrath – in the start of an action-packed, epic series that will delight both seasoned fans and readers new to the world of LEGO® NEXO KNIGHTS™.